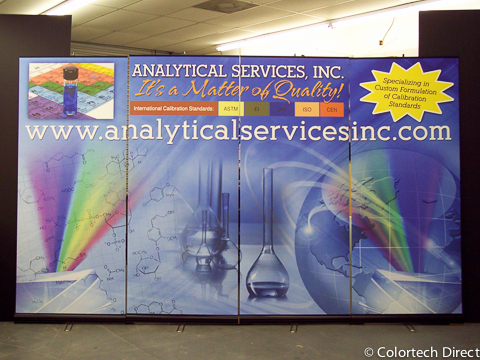 Brilliant graphics and eye-catching designs are crucial to a successful tradeshow exhibit. 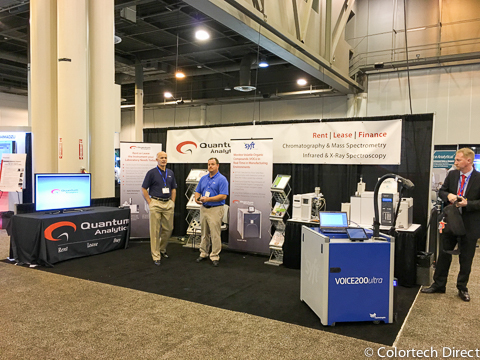 Attracting customers to your booth requires visually stimulating layouts with easy to read messages and our designers know just how to display your image. Let us help you give that old display a fresh look! 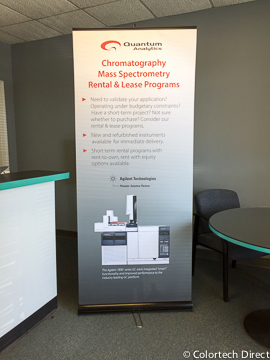 Custom length banner (16 feet x 28 inches) for an expo booth, banner stands, printed materials, all providing a cohesive exhibit display. 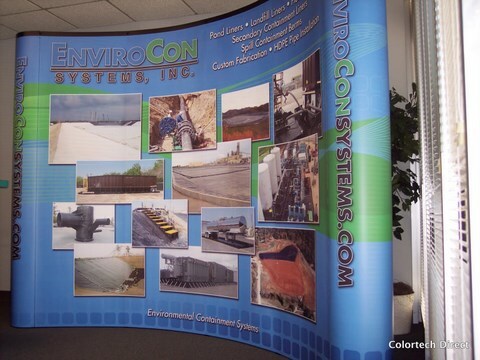 Full coverage trade show display with complementary podium wrap. 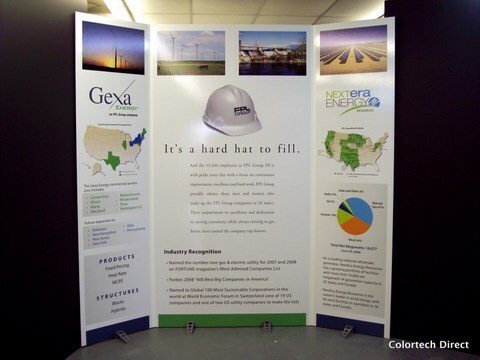 Full coverage 10x10 trade show display. 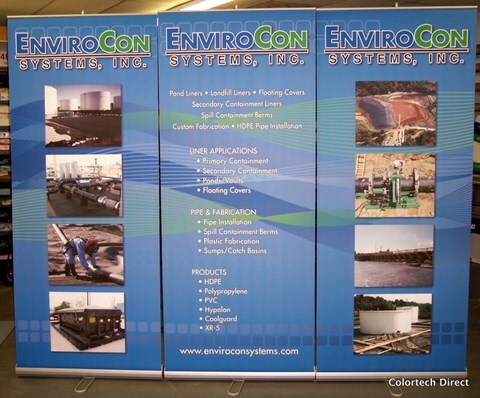 Custom trade show prints mounted to full size 1/2 inch thick gatorboard. Gator foam board is more rigid and dense than regular foam board. 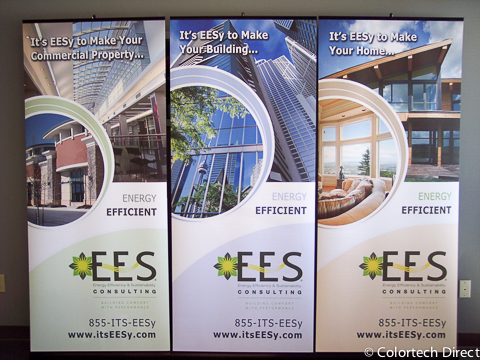 "Less is More" wins on this simple but visually powerful trade show display. 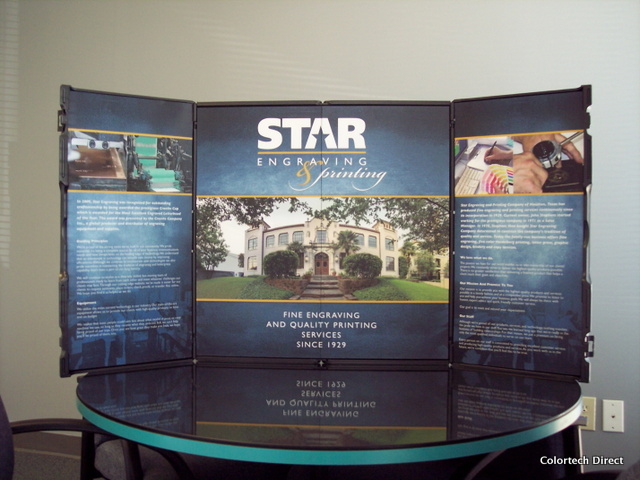 Compact and easy to transport, custom briefcase style display product. 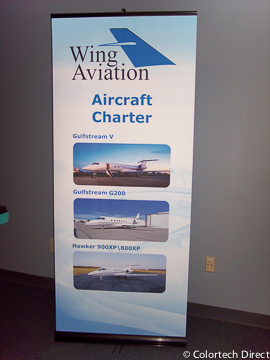 Retractable Banner Stands are easy to setup, display and transport. Use alone or as a group to form a backdrop wall. The precision retractable mechanism and aluminum case are quality and built to last. Every display comes with a padded cary case. 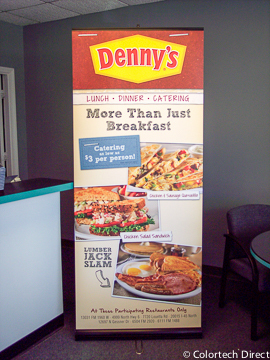 Banner Stand for Denny's with artwork based on newest menu styles. 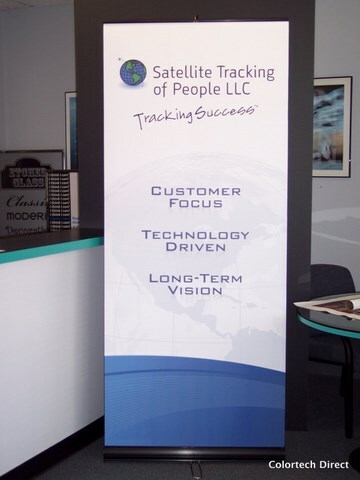 Banner stand sprinted with customer provided artwork. 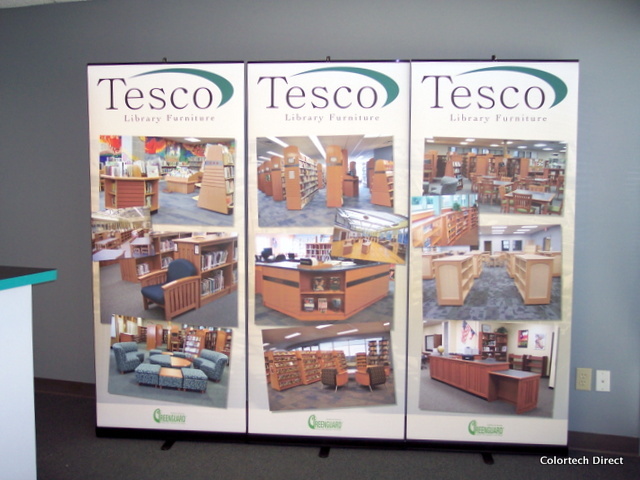 Easy to assemble, custom and convenient to transport, full trade show backdrop created with 3 pop up banner stands. 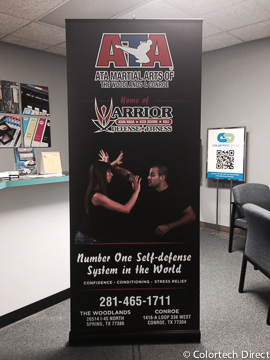 Easy to display, custom banner stand. 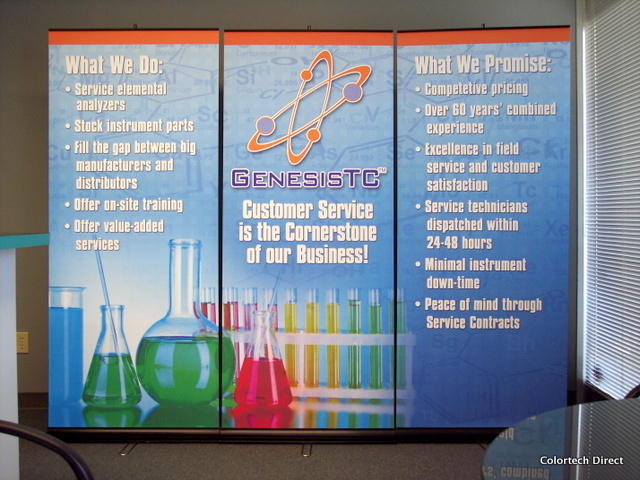 Full trade show backdrop created with a 3 banner stand setup. 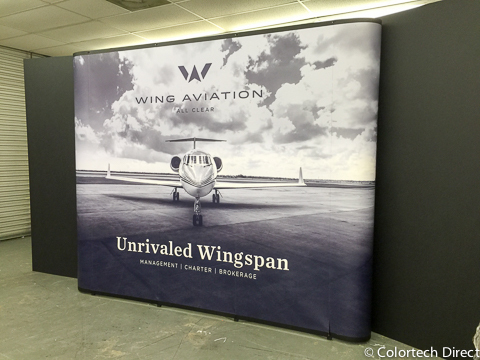 Full trade show backdrop created with a 4 banner stand setup. 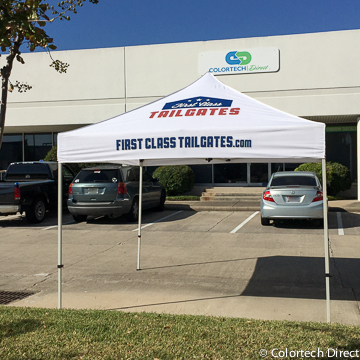 Tents, table throws and runners, backdrops, small giveaways, tokens of appreciation, or items to draw traffic and attention are all important to businesses during a trade show. 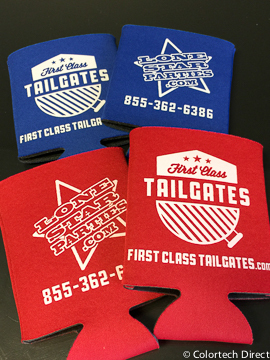 We are authorized distributors for some of the most popular promotional items. 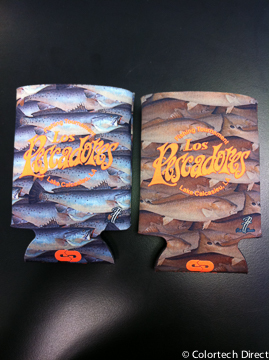 Custom printed pocket "doozie" can coolers. 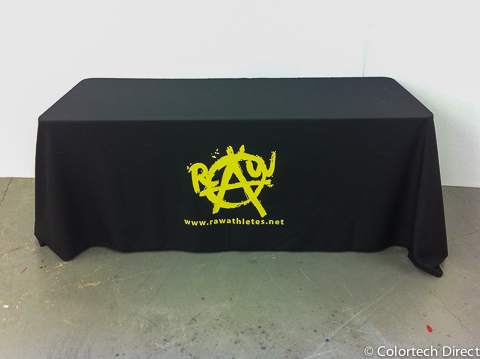 Floor Graphics on carpet help define a space in your trade show booth. Uses anti-skid over-laminate. 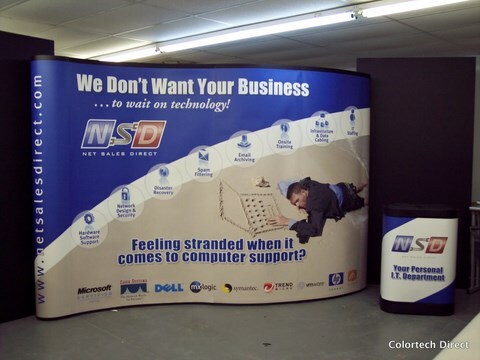 Custom pop up tent printed on all sides. 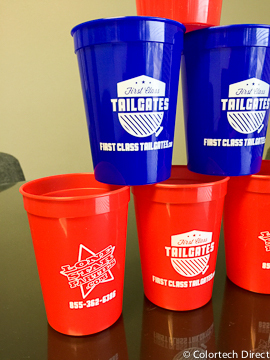 Double sided imprint on red and blue stadium cups. Excellent giveaway at any event or trade show. 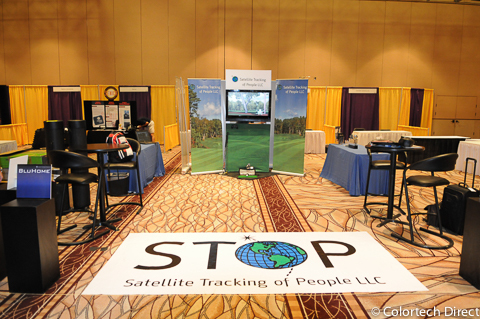 Click HERE to request an estimate for your Trade Show project.